In 2016, the European Commission approved the most significant change in the EU Data Protection Directive since its inception in 1995. The new General Data Protection Regulation law, also known as GDPR, became enforceable in May of 2018. It is designed to strengthen security, give control of personal data to data owners in Europe, and to make sure that data regulations are consistent across all European countries. As a security company, Wallarm recognizes the importance of data protection laws. 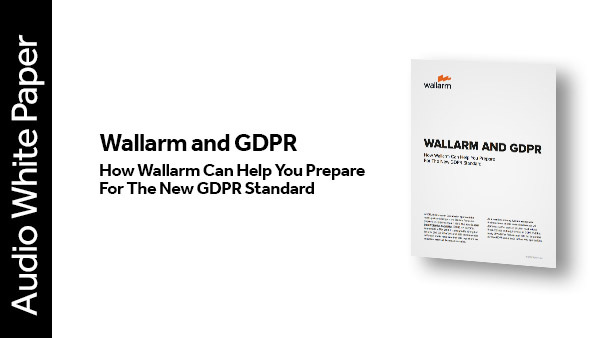 In this audio version of the white paper, Wallarm demonstrates that its solution follows the guidelines and requirements of GDPR and that many of Wallarm’s features can help customers achieve GDPR compliance in their web applications.